I really like Goodtask’s features, but the app is very slow to open and respond to my taps. Any solutions?? Mac Error - "Something went wrong. Please try again." 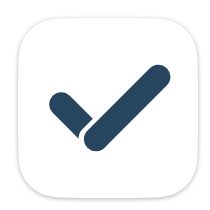 If you have lots of completed tasks, please clean up completed tasks or check off long-lived lists. This will improve overall performance. You may do it by following one of below options. Go into 'Settings - Advanced' and delete completed tasks. You can delete them all or delete with date options. Go into 'Settings - Lists & Calendars' and you can delete completed tasks per list. Go into 'Settings - Lists & Calendars' and you may check off lists to hide them from GoodTask. If you don't have many tasks but it's taking a long time, it may be due to some mis-connection with lists. You may try checking off lists in 'Settings - Lists & Calendars' and start with minimal lists to find what may be causing the delay. How do I copy or export the completed tasks to some other app (as txt, json, anything) to have a record? If there was some reasonable way to export or select and copy, then I would be happy to delete the completed tasks. Hi @lclevin , this is something that's pretty complicated to tackle. I'm keeping around 2,000 completed tasks and don't find any slowness on usage. But yes I'm aware that removing the completed task improves performance heavily. There are several ways to keep the data. I'm planning to find a good way to resolve this issue. It may take some time due to other things in higher priority. Thanks! Backup only works with IOS, not Mac. The most likely place to do a backup is on a Mac that has a file system so it is clear where the backup file lands. Backup may benefit some people, but you have to checkoff each list individually. Select all would be nice or essential if we are backing up by date range rather than list (of course, that is not possible). Also, there is no filter to backup completed tasks only that I could see. So, there is some difficulty in maintaining a distinct list of the completed tasks. You can backup everything and then delete the completed tasks. But, then there is no easy way to segregate the completed tasks in the backup except load the backup and choose "All" and hit the show completed button. Not so good. I got a "shortcut" working. What a horrible thing shortcuts is. But, it works and all I need is the text--it is just to look back and see if I did something. Not doing any analytics on this. Todoist makes it easy to see or not see completed tasks (as Goodtask also does). There is really no notion of deleting the complete tasks in Todoist either--they have their own data backend over which users have no control. it's a good app--they thought through what matters and eliminated the unnecessary complexity of Things, Todo, and many others. But, a subscription model doesn't make sense for hosting my huge 3-5K of task data. Once the silly shortcut is working, it works fine. Something I'll only do every 3 months. Takes a few seconds. Not very accessible for non-technical users, but then probably not so many non-technical users use Goodtask. You should probably think more about that. Also, think about what happens when Apple breaks Reminders (not if, when). There are some advantages to using Reminders because other Apple apps "hook" reminders (like Calendar, Siri, others...). Siri is sort of silly and there are ways to put tasks on calendars if that is what you want (or the opposite, which Goodtasks does). Yes, current backup process is not made for keeping completed tasks elsewhere. I'll keep your feedback while updating the app. This doesn't solve your problem, but the way I handle this is to add the completed tasks to my journal automatically with my own version of the get completed tasks shortcut and then delete them. As part of my nightly routine I run a shortcut that does this, along with a bunch of other stuff. This gives me an easy way to look back at what I did in context with what else happened that day that I've written in my journal.